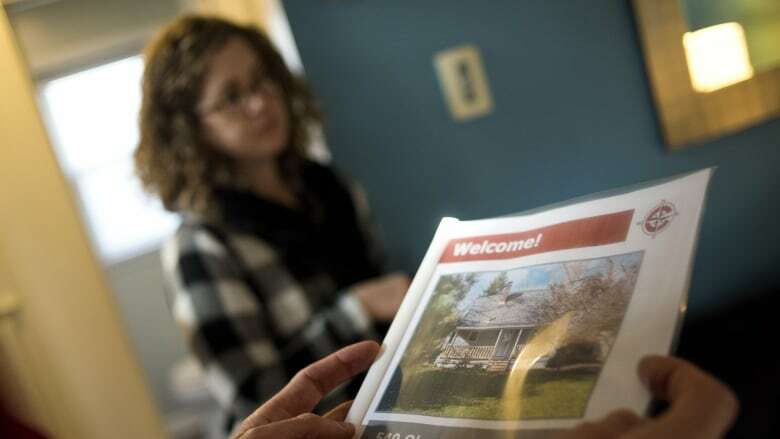 Canadian home sales plunged to their lowest level in more than six years in February, and the average price fell to $468,350. The Canadian Real Estate Association said Friday that just 29,974 residential properties changed hands during the month. February is typically a slow month for real estate, but that was the slowest month for home sales since November 2012. CREA says sales activity fell by more than nine per cent from January's level, which wasn't a strong month to begin with. That decline is the biggest monthly slowdown since the government implemented new stress test rules for buyers at the start of last year. "For aspiring home buyers being kept on the sidelines by the mortgage stress test, it's a bitter pill to swallow when policy makers say the policy is working as intended," CREA president Barb Sukkau said. "Fewer qualified buyers means sellers are affected too." Fewer homes were bought and sold during the month, and prices for them were, on average, lower too. The average sale price was $468,350, but CREA says that figure isn't a fair representation of the overall market because big markets like Toronto and Vancouver can skew the number one way or the other. So instead, CREA trumpets something it calls the House Price Index, which the group says does a better job of stripping out misleading factors. The HPI fell by 0.1 per cent in the year up to February. It's the first time the HPI has been in negative territory in almost a decade. Bank of Montreal economist Doug Porter noted that the biggest annual plunges were heavily concentrated in Western Canada, particularly cities in Alberta and British Columbia. While certainly weak, TD Bank economist Brian DePratto said the February numbers should be taken with a grain of salt. "February saw severe winter weather in both Toronto and Vancouver that may have played a role in keeping potential buyers and sellers on the sidelines," he said. "The true test of market health will come with the warmer spring weather." DePratto doesn't expect any more rate hikes from the Bank of Canada this year, which should help the market rebound somewhat through the latter part of this year. "Resale housing markets may be down, but it is too early to count them out," he said. Porter also didn't read too much into the eye-catching drop in sales and prices, as icy weather during the month made a weak month look even worse than it usually is. "At this time of year, housing releases are more of a weather report than an economic report," he said. "If this weakness in sales and starts persist in March and April, then we have a real economic story. But we suspect that there will be a notable bounce-back on both fronts in the spring. "